Apple showcases its Watch Series 4 in a new ad, aimed at highlighting that this new watch is “Fundamentally redesigned and re-engineered to help you stay even more active, healthy, and connected”. 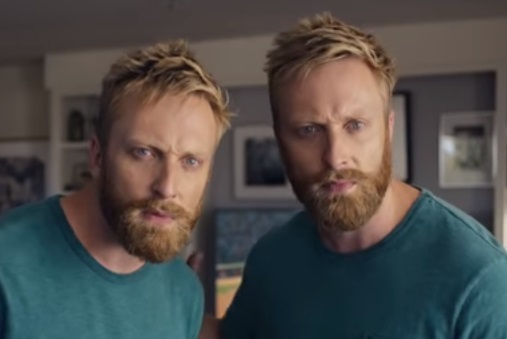 The 60-second spot, titled “Better You,” features multiple clones of a man as they motivate him to be more active. The protagonist thus transitions from sitting on his coach to standing, to walking, to running and finally to swimming in the ocean. The commercial, which shines a light on some of the Apple Watch features, including the water-resistance, new pace alerts, with no particular focus on features unique to the Series 4, though, ends with the tagline “There’s a better you in you”. The song used in the ad is “Toy” by Scotish R&B trio Young Fathers, from their 2018 album, “Cocoa Sugar”. According to the tech giant, Apple Watch Series 4 is “like a trainer that understands the ways you work out – from running to yoga to swimming – and puts every metric you need right on your wrist.” For most popular workouts, Apple Watch senses when you’re moving and alerts you to start the Workout app, which now includes also yoga and hiking and works every way you want to exercise. Users can set individual goals, measure their calorie burn, and track their progress over time in the Activity app on their iPhone. The Apple Watch Series 4 is available in GPS and GPS + Cellular options, with two different case materials (Aluminium and Stainless Steel, respectively) and two different band types (Sport and Stainless Steel, respectively). The range of band colors includes pink, silver, gold, white, and black. Prices start from $399.